Let me explain you what Fuji did inside ISOCELL sensor to make it ISOCELL PLUS, earlier every two-sub pixels of of ISOCELL sensor was separated by a metal grid. Now, the metal grid is replaced by Fuji new innovative material. (well they didn’t disclosed what the innovative material is). Samsung replaced the metal barrier with an innovative new material developed by Fujifilm, minimizing optical loss and light reflection. With the help of new technology Samsung is not only able to create more better sensor, but they can also create higher resolution sensor without any loss in performance. We also expect in near future both companies will work together for the betterment of Sensors as well imagine technology to bring new innovative products for for consumers. We all know that Sony is no.1 Senor maker of the world. But, Now Samsung is looking more aggressive and wants to become No.1 Sensor maker. According to latest news coming from entnews Samsung Electronics is planning to increase its production capacity of image sensors and it also set a goal to become the top business in image sensor market by beating out SONY. The Aim of Samsung is to dethrone Sony and become No.1 Sensor maker. Samsung is increasing production capacity to make more low-cost Dual ISO units for affordable smartphones. Xiaomi and Meizu are one of its biggest customers. Keep in mind that Samsung isn’t making any APS-C or FF Sensors dedicated for camera right now. But, yes we do have some strong rumors related to the development of Samsung NX2 camera in near future. Samsung NX1 was the first APS-C camera to introduce DCI 4K video recording and 205 on chip AF point with 15fps burst, After low sales report Samsung closed its camera division and handed over all the further operation to mobile section. According to latest rumors Samsung NX2 / NX1 successor do exist in Samsung lab and currently being tested with Exynos 9810 SoC. Now, at the time I am writing this article the Samsung Exynos 9810 SoC is a high-end system-on-chip and rumored to be used inside the upcoming Samsung Galaxy S9 and Galaxy S9+ flagship smartphones. 30fps RAW with electronic shutter. Practically no read-out noise ’, which is regular in-sensor phase detection. 802.11ac with 2×2 MIMO for fast image- and video transfer. USB 3.1 Type-C with DP enabled for uncompressed output up to 5K 30fps and 4K 60fps. PCIe 3.0 x2 bus left if they decide to add something like a CFexpress card-slot, or Thunderbolt 3 or 10GbE. This was one of the prototypes of the Samsung NX2 camera and and its is possible that more exist with variable ND, IBIS, HBM2-buffer. Samsung finally introduces its own sensor brand and its name is ISOCELL sensor. This brand name was introduced in Mobile World Congress in Shanghai. Samsung ISOCELL technology is not new to us we have published several blog post related to Samsung isocell sensor technology in the past. ISOCELL sensor from Samsung was first introduced in year of 2013, more than 50% of Samsung smartphones now carry isocell sensor. A while ago we have published the news that Samsung NX1 is discontinued at B&H store of US, According to the latest news coming from channelnews the Samsung NX Camera Finally Shutting Down in Australia, So after United Kingdom and other several countries Samsung also closed it’s and its NX lineup camera in Australia. Samsung Australia is believed to have has pulled out of the digital camera market due to poor sales and a lack of acceptance of a Samsung branded digital camera. A leading retailer who was selling Samsung digital cameras said “They are out of the market we are not stocking any new products, all we are doing is selling out old stock”. Craig Gillespie who headed up Samsung’s digital camera business in Australia quit the Company in April 2016 to take on a new role at Boomworks. It’s really a Bad news since the NX1 camera paired with 16-50mm lens is still one of the best APS-C sensor based solution available in the market toady. 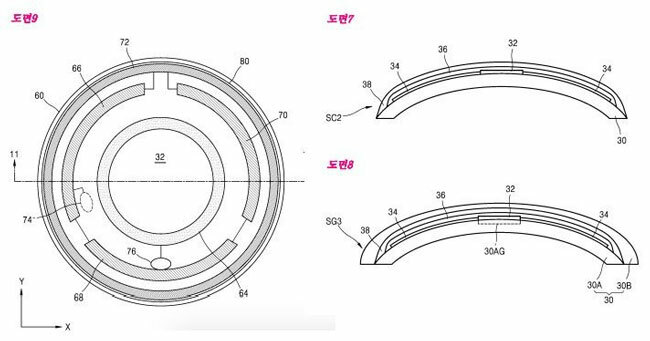 Latest patent document surfaced over the web shows a new Contact lens based camera patent filed by Sony that features a small power source, WiFi antenna, microchip processor, Zoom lens, sensor and even a image stabilization unit to combat the shake caused by the eyelid moment. You Can control the camera by conscious eyelid closure and the other settings of the camera is also control by specified eyelid movement. Power source – According to the patent document the Supply and reception of electric power can be achieved by, for example, an electromagnetic induction method, a radio wave method, or an electromagnetic field resonance method. The small camera will add revolution in camera industry since it’s a completely invisible, it may also raise some serious questions related to privacy of a person. Before we end the Sony contact lens news you must know that the first contact lens patent was filed by google X skunkworks lab back on 2012 [via patentbolt] Initially the first contact lens from google was made with a sensor that tracks your sugar level by analyzing the amount of sugar present in your tears. if you have diabetes, you generally have to perform finger-stick blood tests throughout the day. However the smart lens made by google never came for public use. 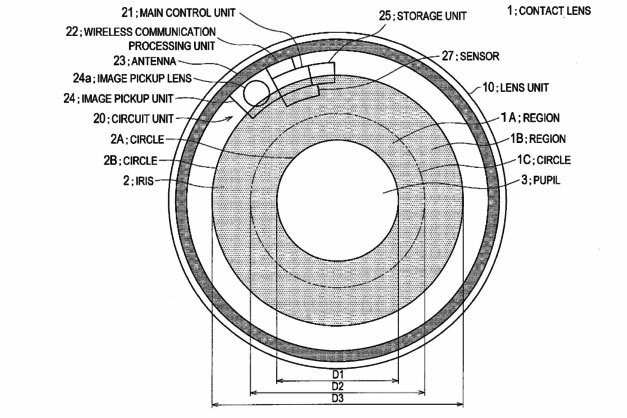 A month ago Samsung smart contact lens patent also surfaced over the web. South Korea gov. has granted the Samsung crop. 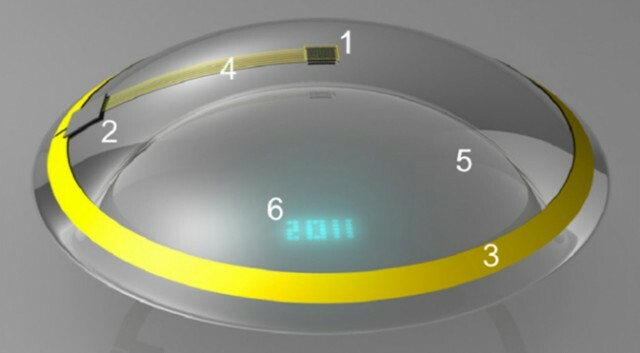 The Patent for contact lenses with a display that can project images into the users eye with additional information. Smart Contact lenses will send data`to your smartphones / tablets via WiFi, the overall operation of the camera will be controlled by the moment of eyelid / blinking of a eye. All the three major companies are working towards smart contact lens and within few years we will sure see smart contact lenses in the market for general purpose use.